We're almost at the weekend, thank goodness! 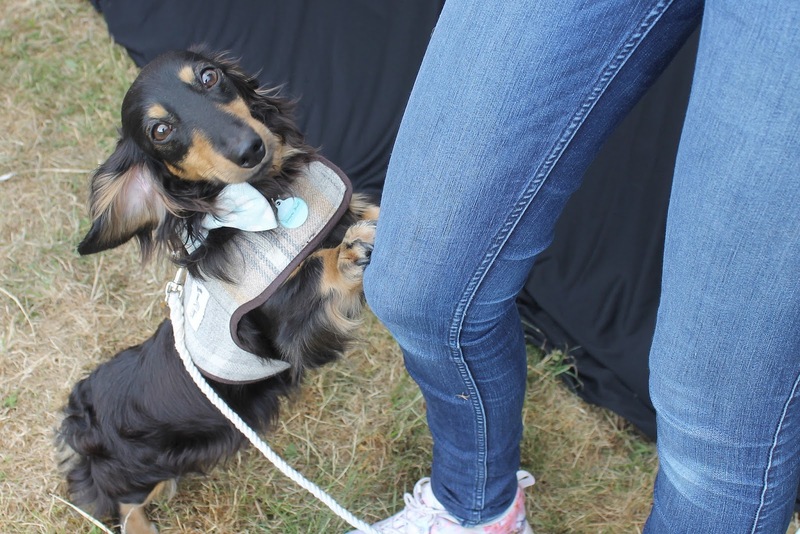 I wasn't going to write this post until next week, but I'm just so excited about my Dog Fest purchases and can't wait any longer to share them with you. There were so many wonderful stands at the show, it was super hard to stick to my budget! I visited old favourites and new discoveries, and there are definitely a few new companies I'll be keeping my eye on. First up, we have an old favourite! Broughton & Co is just the epitome of luxury, with beautiful handmade collars, leads and accessories. These pieces are made with love and they're made to last! Archie has just outgrown the gorgeous collar he was gifted as a puppy, so I thought it was high time he got a new one. Of course, I couldn't leave Winnie out, and I nabbed one for her too. The best part was that we could have their names engraved there and then! I just adore these collars so much, and I'll be visiting Broughton & Co again this weekend at Paws in the Park... I'm hoping to pick up some love lock name tags! Next Winnie was treated to a few new harnesses: she only has a couple of "every day" ones, and obviously I'm a shopaholic so she needed some more. They're both from Puppia, but I bought them from different stalls on the day. The first, pink design is from Snug as a Pug Ltd, and the blue floral is from Wiff Waff Designs. They're both a step in style (I believe it's design B) and Winnie wears a medium. Dachshunds obviously have a funny shape, and it's hard to find things to fit them... but this is made even worse by Winnie's HUGE breastbone, which adds several inches to her chest. I know these photos make the harnesses look a bit awkward, but they actually fit her perfectly and she can move really freely in them. They don't rub under her armpits like over the head harnesses do, so that's perfect for us. Treats! We picked up some organic parsnip treats from Huxley Hound, and some venison Benyfit Bites from Benyfit Natural. Both purchases are going down very well with the dogs, and they're a perfect, healthy option for trick training or photo bribery! Our final purchase is something that we've wanted for so. long... A Pit Pat tracker! They had an incredible show offer on, and I just couldn't pass it up. I'm so glad I finally nabbed one for Archie, as he's such a little whirlwind and it'll be fab to see exactly how much exercise he's getting. I'm also on a journey to get a little fitter myself, and it'll be great to compare his stats with those from my fitbit. We'll be road-testing it properly on Sunday when we go to Paws in the Park, so I'll be sure to write a special post dedicated to Pit Pat after that. 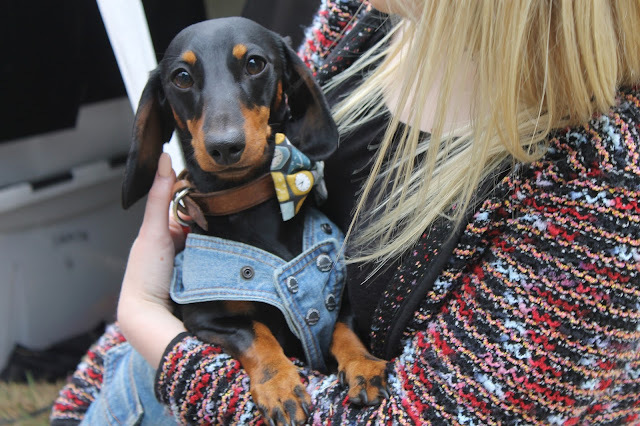 Last but not least, our lovely friend Jaime gifted a beautiful Devil Dood Designs collar to Winnie! It's one of their fab rainbow designs, and it fits Winnie perfectly. We love Emily's shop and have lots of bits and pieces from her, so I'm excited to add this to our collection! The colours really pop against Winnie's black fur, and it'll look gorgeous as we head into summer. Thank you so much Jaime! So there we have it, our haul! What have you bought your pets lately? 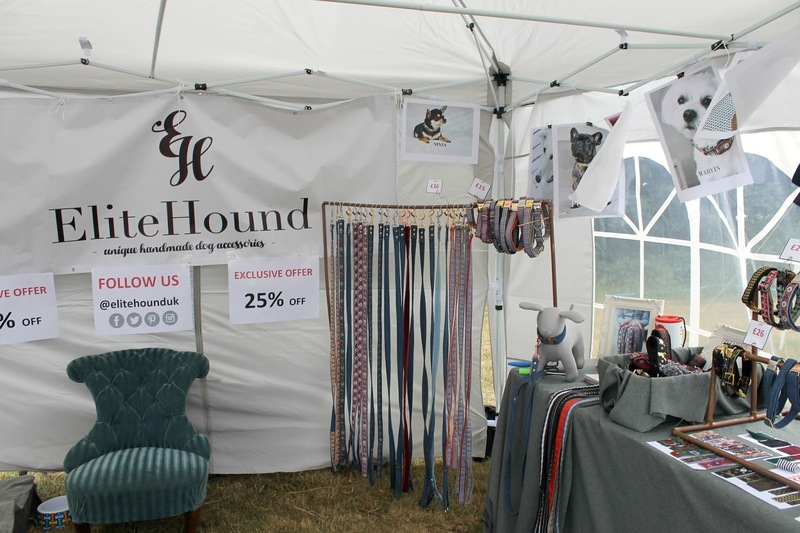 We're off to Dog Fest South tomorrow at Knebworth House, and we thought you might want to see some of the things we're taking with us! In the photo above, you can see our snacks for the day; a packed lunch for me (I've just started Slimming World, so no tasty burger van food sadly!) and treats for the dogs. We absolutely love these Lily's Kitchen Snack Bars for big days out, and I always keep a few stashed away. I've also got a little pot of tasty bitesize treats, as we're going to be seeing several of our blogging friends and I want my two to sit nicely for photos! I'm hoping to take both dogs with me, but I don't have a photo of Archie's "outfit" for the day. Sadly his new harness hasn't arrived in time, so I'm not sure what I'll put him in yet! 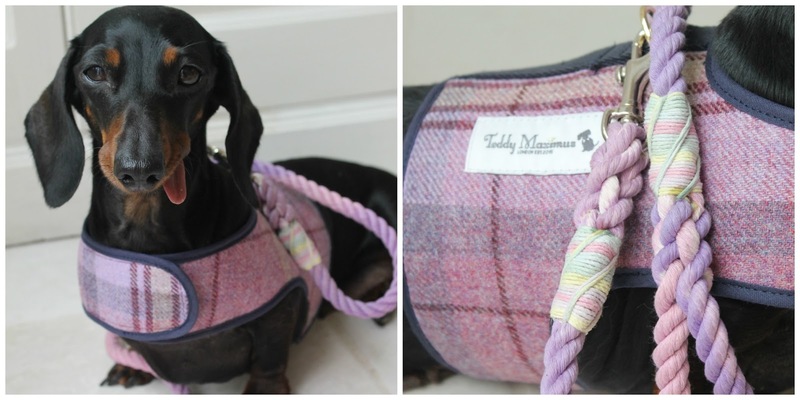 Winnie on the other hand, will be looking super stylish in her new Pink Shetland Wool harness from Teddy Maximus, and a beautiful new lead from Bramble and Friends. Considering they're from different retailers, they're a match made in heaven and I cannot wait to show them off tomorrow. Of course, I've also got a little zip pouch of poo bags attached to the lovely tassel clip on the lead. I've got this little zip bag too, with hand sanitiser, wipes and a mirror (my worst nightmare is having something on my faces/hands or whatever and not being able to get it off or wash my hands!) and I'll be taking my vlogging camera with me also. I'm trying to pack super light this year, but there are a few neccessities that I haven't pictured; obviously, I'll be taking a bottle of water, a collapsible bowl, our ticket and I'll most likely take Winnie's carrier as well. A few bandanas or bow ties might sneak into my bag for photo opportunities too! Are you going to Dog Fest? What are your day trip neccessities? We're back after another long hiatus; things have just been so crazy around here for the last few weeks. Now though, it's all downhill until the summer holidays! This post is one that I've wanted to write for a long time. 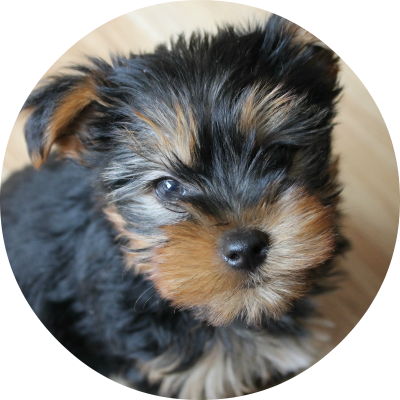 When I started this blog, the purpose was to document my life as a dog owner. Of course that involves fun days out and cute purchases, but it's also involved lots of challenges which to be honest, I want to write about! Having a dog isn't always idyllic weekends away or posed photo shoots, and I want to stay true to myself and write about the hard times too. Who knows, maybe someone will have some advice! At the time of writing this post, the dogs (especially Winnie) are actually much-improved, but I'm just going to come out and say it. My dogs are reactive. My dogs bark. My dogs sometimes even snap if people don't listen to me, when I ask them to keep their own dogs away. My dogs are not perfect. When you read/write a dog blog, it's easy to believe that everyone else's dogs are perfectly behaved, perfectly poised and well-trained. In all honesty, you could look at my photos and assume the same. In reality, though, that's often not the case. Archie was honestly the perfect puppy, bar some house training issues and a bit of separation anxiety, which soon righted itself. I took him all over the place with me, he was well-socialised and loved other dogs. When we got Winnie though, he completely changed. She was so fear aggressive, and he soon picked up on and copied her behaviour. For a while, I was genuinely afraid to take them out together on walks, as I'd come home and cry after every trip out. They barked hysterically and lunged at any unfamiliar dog, and off-lead walks became a thing of the past when one day, Winnie ran away and seemingly went completely deaf to me calling her name. People would stare at me when they barked, they'd shake their heads or tut at me. They'd let their dogs approach mine, despite my protests, and then treat me with disgust when mine barked. I'm sad to admit it, but Archie and Winnie made me feel like a failure as a dog owner. They felt out of control... I felt out of control. I was the stereotypical small, yappy dog owner. Everything came to a head when we took the dogs on a weekend away. My boyfriend was coming with me, so I felt we'd be alright with both of them, and up until that point they'd only really been reactive on walks. Much of the trip, however, was a disaster. In a restaurant, someone repeatedly tried to introduce their dog to Archie and Winnie, despite me practically begging her not to. Something I'd really like to emphasise is this: just because your dog is friendly, that doesn't mean every other dog will respond well to it. My two did not appreciate a large, unfamiliar dog cornering them under a table. They went into a complete meltdown. I could feel the eyes of all our fellow diners burning into my skin, and the tears threatening to fall. My boyfriend took the dogs back to our room, but the damage was done. I could hear the other dog's owner saying hateful things about myself, Archie and Winnie, and I just wanted the ground to swallow me up. My first goal was to try and find out why they were barking. With Winnie, I felt it had simply become a learned behaviour, which Archie had then copied. He was only a little puppy when we rescued Winnie, so it makes sense that he was impressionable. However, Archie also seemed to have become stuck in the second fear phase (all dogs go through it!) so some of his reactions were definitely as a result of fear. My second step was to try and change my own thinking. My dogs were not bad. I was not a bad owner. Dogs bark, and it's natural. It's just that mine were barking excessively, and I needed to try and find a way to help them, removing my own embarrassment from the situation. Research, research, research. I frequented facebook groups and forums, read articles online and looked into the methods of several behaviourists. I picked and chose the parts that I felt would be relevant to my dogs, and looked at how I could put them into practise. Being sensible: I realised that Archie was an angel if Winnie wasn't there, and vice versa. 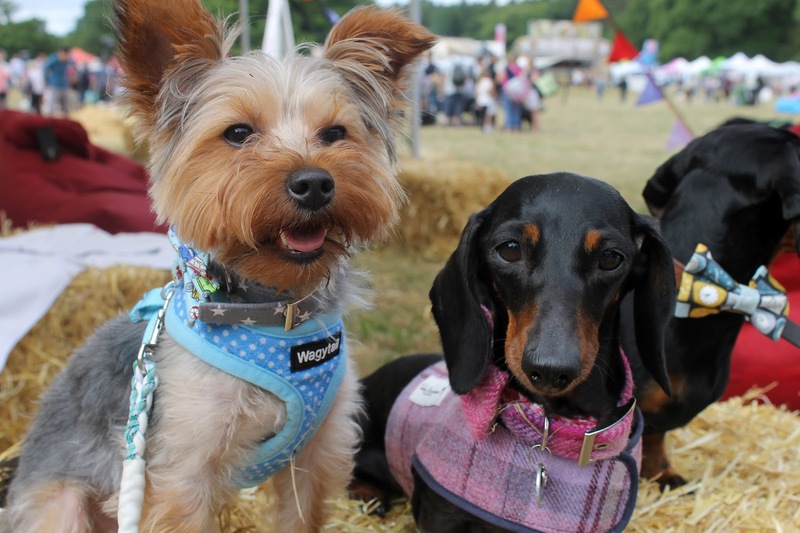 This meant that I had to accept that often, I wouldn't be able to take both dogs to a big event like Paws in the Park or Dog Fest. This is such a shame, but sometimes you just have to be sensible. I'm considering giving Dog Fest a go with both dogs this year, but if I do, I'll take Winnie in her carrier. If Archie can't see her, he's an angel! Consistency! I found that positive reinforcement was the most effective method with my two, so even when they barked I'd talk to them in a kind voice and try and bring their attention back to me. As soon as I saw a potential trigger I'd get out some food and distract the dogs, talking in a calm and happy tone. Within a week, it was working 90% of the time! I made sure to use the same method every time we went out. We went on another weekend away shortly afterwards, and it was a completely different experience. The dogs were angels (for the most part!) and we continued to work really hard on our new training methods even whilst on holiday. Yes, there were hiccups (my two seem to behave much worse if we sit down to have a drink/something to eat) but it was such an improvement. A few months later, and we're still working on it. There are definite ups and downs (Archie's barking is quite bad at the moment) but Winnie is changing before my eyes. She'll still have a grumble if another dog suddenly gets up in her face, but last weekend I took her out to a dog show and she only barked once. In fact, she was such an angel that we're headed to another fun dog show tomorrow. She also came to Pet Fest with me (blog post coming in a few days) and behaved beautifully there too. Several of my dog blogging friends have met my two, and Archie loves them and their dogs, especially Bernie Beau Jangles, Silly Tilly Poodle and Adventures of Doodles. I really hope that by writing this post, I haven't put people off spending time us, or from working with us on the blog. Archie's not a bad boy and despite everything I've just written, he does actually love to play with other dogs. He's a complex little chap, but we will get there. If anyone has any advice, I'd love to hear it!